Professional Pest control and Proofing Services. Covering Berkshire, Hampshire, Surrey, Middlesex and West London. Guaranteed treatments at competitive prices. We have over 15 years experience in all aspects of pest and bird control. We provide upfront costs to all our works and treatments and offer free advice. We also carry out free no obligation surveys for commercial customers and all bird related problems. RIW offers a wide range of diverse waterproofing solutions that are suitable for use above, below and at ground level, offering complete waterproofing assurance to architects and engineers. Arborfield Arborists are a professional tree surgery company in Berkshire, we cover all aspects of tree surgery, call 0783 186 6570. Why should I hire Itchen Abbas, Hampshire environmental services? If not dealt with professionally many household maintenance problems can remain or even become worse. Damp, mould, rot and certainly asbestos are dangerous or unhealthy substances to have in the home, so it’s very important to hire Itchen Abbas, Hampshire environmental services to remove them for you. You will find that many property maintenance services offer full restoration work after they have removed the damp, mould, woodworm or rot, so you will not have to worry about tidying up after removal. Prevention is always better than cure, so if you’re planning a basement conversion or building in areas susceptible to flooding, high winds or other potential damage, then it’s a good idea to talk to Itchen Abbas, Hampshire environmental services or specialists first. 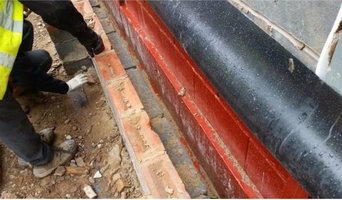 Damp proofing can be handled by damp specialists and uses the latest materials and technologies to ensure your house is protected from damp and mould. You may want to damp proof a basement or other room while it is being restored or renovated, so it’s a good idea to talk to other specialist property maintenance services or contractors while you arrange your damp proofing. Here are some related professionals and vendors to complement the work of waterproofers: . Find environmental services and property maintenance services on Houzz. 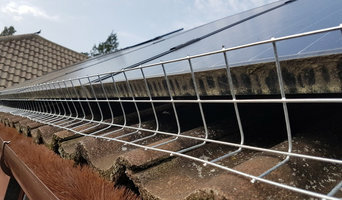 Narrow your search in the Professionals section to Itchen Abbas, Hampshire property maintenance and environmental services to find a list of qualified professionals. Read through professional profiles for information on certifications, experience and services provided.